5 out of 5 based on 105 ratings. 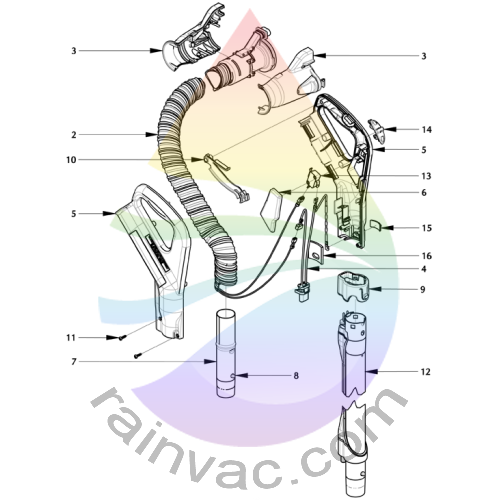 We have every part available to the Rainbow vacuum cleaner E2 Type 12 Black Series Main unit. 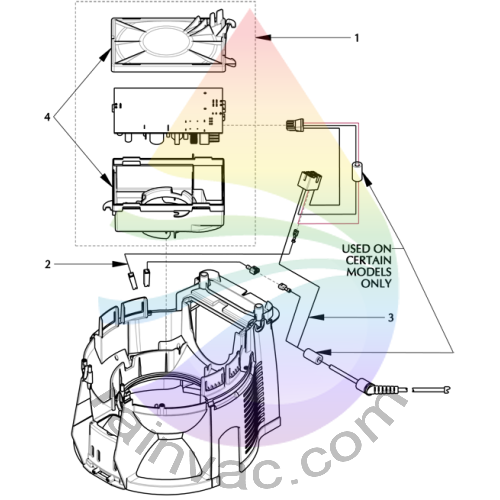 If you can't find the part you need, please go to our schematics page and browse the schematic that matches your model Rainbow to help you find the correct part number. Below are images breaking down the complete Black E2 Rainbow vacuum model. Click on each area of the system to get a more in-depth view. Effective serial number 20200001 with a start date of March 10th 2011 through current production. This category covers the complete Rainbow E2 Type 12 Black Series cap cover assembly that includes the main power switch, handle pad, and side lens. 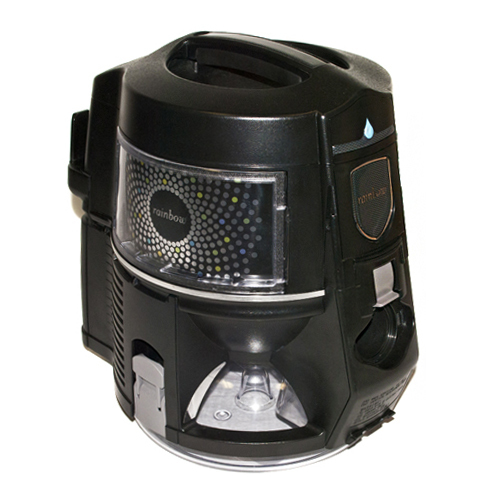 This category covers the complete Rainbow e2 Black main housing that includes the face plate, rear cover assembly, latches, and HEPA filter. 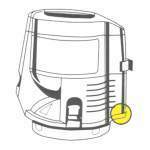 This category covers the complete Rainbow E2 Type 12 Black Series main housing that includes the face plate, rear cover assembly, latches, and HEPA filter. This category covers the Rainbow E2 Type 12 Black Series controller assembly that is the main circuit board for the complete system. Also includes the main power cord and wire harness. This category covers the complete Rainbow E2 Type 12 Black Series face plate assembly that includes the water pan neck, shroud, and springs. This category covers the complete Rainbow E2 Type 12 Black Series motor / pump assembly that includes the bearings, gaskets, separator, rotor, and stator. This motor is the 3rd version in the E2 Type 12 model line. This category covers the complete Rainbow E2 Type 12 Black Series hose and dolly assembly that includes the handle kit, switch, actuator, dolly latch, spring, and wheels.